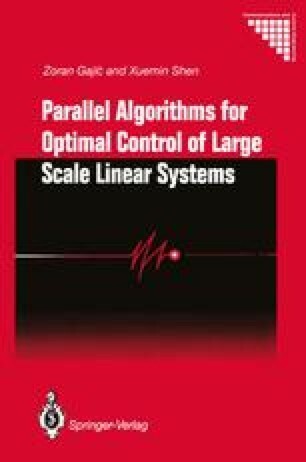 Several structures of the linear-quadratic control problems containing small parameters can be studied efficiently by using the methodology similar to the one presented in the previous chapters. We call these structures quasi singularly perturbed and quasi weakly coupled (quasi SP&WC systems). Namely, the quasi singularly perturbed and quasi weakly coupled linear-quadratic control problems are very closely related to the standard singularly perturbed and weakly coupled control problems. However, these similarities are not obvious, and very often, in many applications, the quasi singularly perturbed and quasi weakly coupled structures are producing the parallel reduced-order algorithms of the simpler structures and under milder conditions than the standard singularly perturbed and standard weakly coupled linear-quadratic control problems.